Rare Bird Books, a Vireo Book, 9781942600060, 280pp. The Compass and the Nail presents an unconventional perspective of how particular organizations create rabid fan bases, in turn making them more successful and more profitable. Written by Patagonia's former lead strategist for consumer marketing, and advisor to such iconic brands as Seventh Generation and Burton Snowboards, Craig Wilson outlines game-changing insights for providers of any product or service who desire fiercely loyal behavior. Wilson's narrative is one of cultural empathy and thought disruption critical to the new global economy. It is a practical model that defines how companies, governments, and institutions relate to their end users. By illuminating the phenomenon of "following," and how it can be methodically applied to a larger context, this book demonstrates how those relationships can be refashioned to optimize human interactive experience. It challenges us to use our economic powers for good to design the new Responsible Economy in an effort to save the planet. If companies realize consumers "don't buy what you do, they buy why you do it," Wilson shows us how. Craig Wilson is an entrepreneur, consultant, author, and coach. He has founded three businesses, just recently selling the theater production company he and his wife founded in 1990. He is a leading authority on loyalty, brand development, and direct marketing and counts some of the world's most iconic brands in his listing of experience including Kiehl's, Patagonia, Seventh Generation, prAna Living, Burton Snowboards, and Revolution Living, among others. He's a three-time NCAA National Champion coach and a passionate observer of human behavior. Over the past decade Craig has studied the direct marketing businesses that create the most passionate, loyal customers and holds a firm belief creating advocacy is possible anywhere. Craig began his career as an NCAA Division One Sailing Coach. Winning his first National Championship was the springboard to understanding what motivates people's actions. He launched a theater production company in 1990, wrote and produced a highly successful, interpersonal skills based seminar called Playing With Fire, and while with Patagonia, Craig developed their direct business strategy based on a seminal consumer behavior study, forming the first truly multi-channel marketing organization, growing the direct channel from $2M to $100M over a six-year period. Craig is a sought after speaker and has lectured on the topic of loyalty and advocacy as the basic tenet of branding strategy at the University of Southern California, the University of California, and Pepperdine University's Graziadio Graduate School of Business. He's the co-author of "Creating Advocates," a peer reviewed study on why consumers become fans of brands. 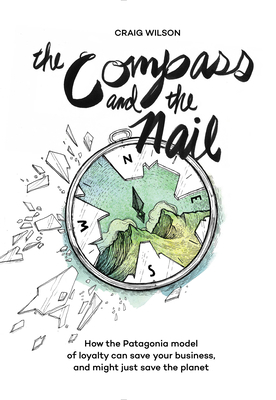 The Compass and the Nail is his first book.